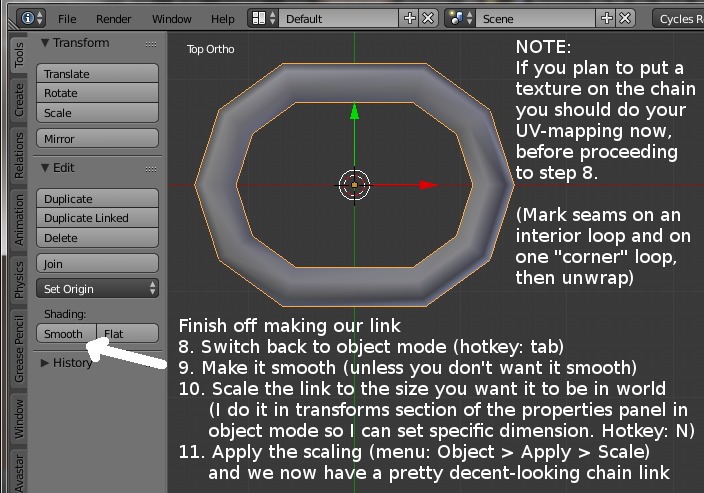 Aine's Opensim Blog: Is It Possible for Blender Array Modifiers to Get Any More Fun? 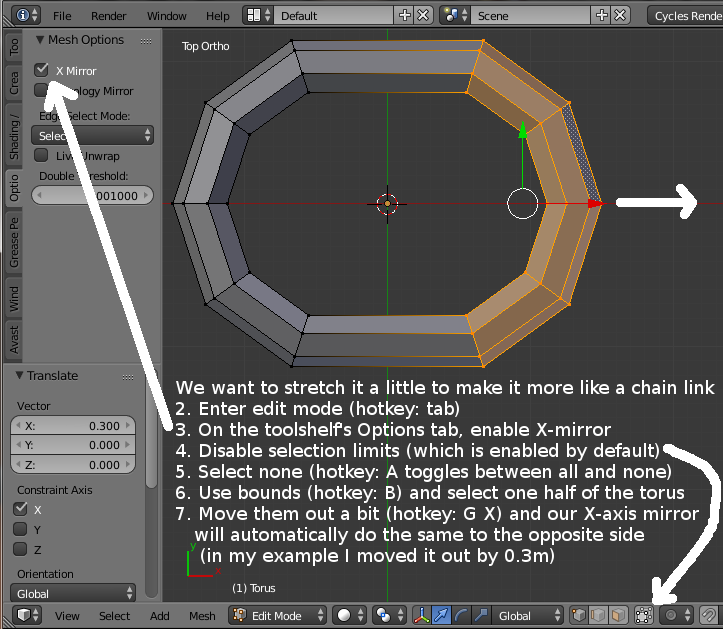 Is It Possible for Blender Array Modifiers to Get Any More Fun? 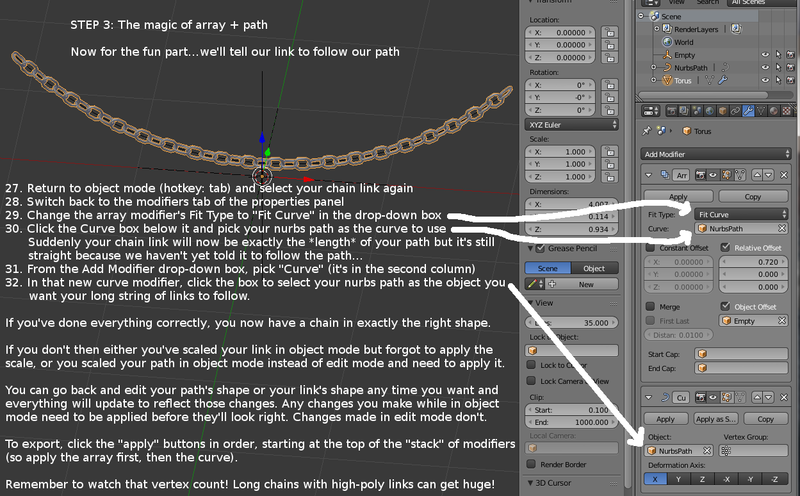 Today we answer the question "Is it possible for Blender array modifiers to get any more fun?" After playing with this third tutorial I hope you'll agree that the answer is a resounding "YES!". 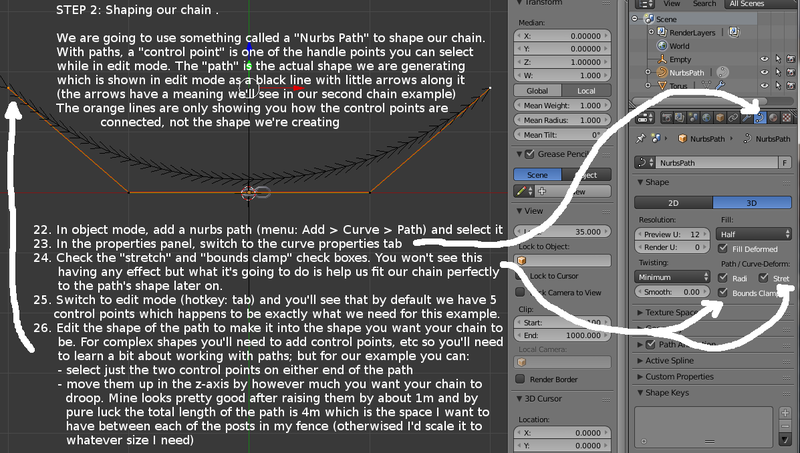 At the end I show a couple examples: the first is simple straight chains holding up some drapes, and the other is a very complex chain shape (that's easy to make!) to chain a tiger to a fence. 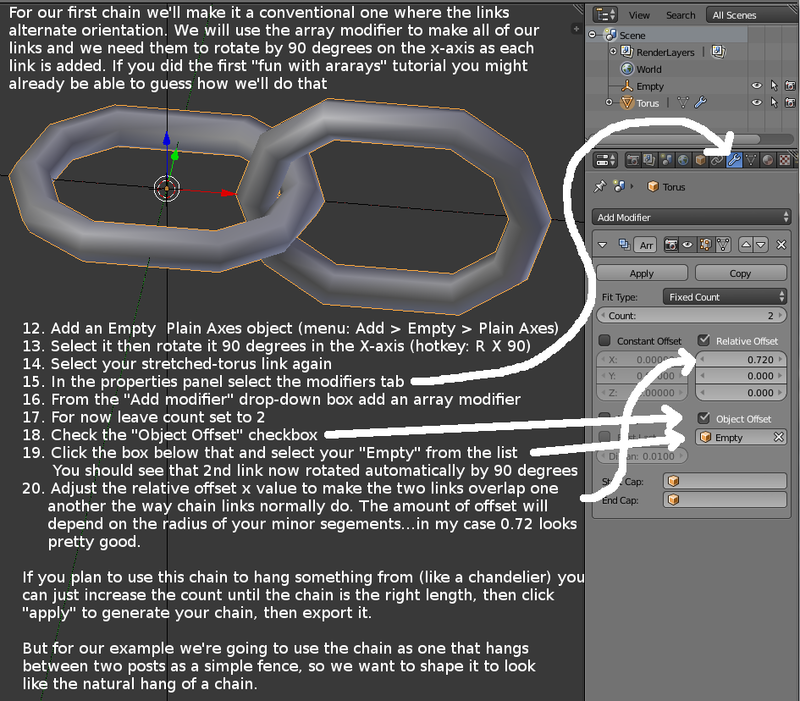 Objective: Show you how to make a chain for use in building projects or jewellery. 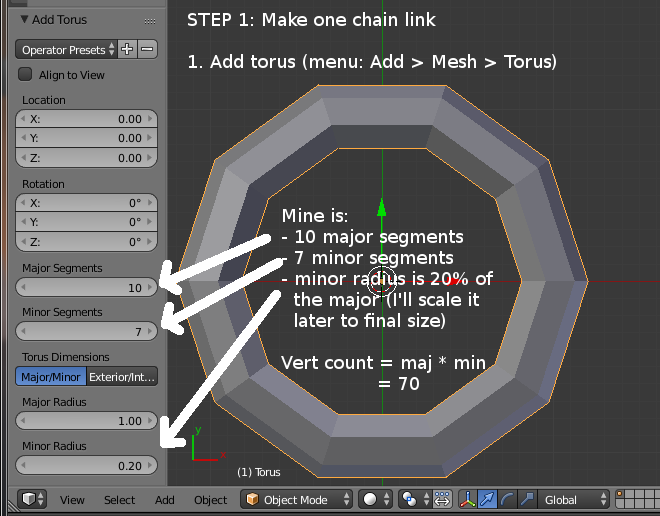 When making chains, keeping the vertex count of your "link" to a minimum is important because we can easily end up with a lot of them. 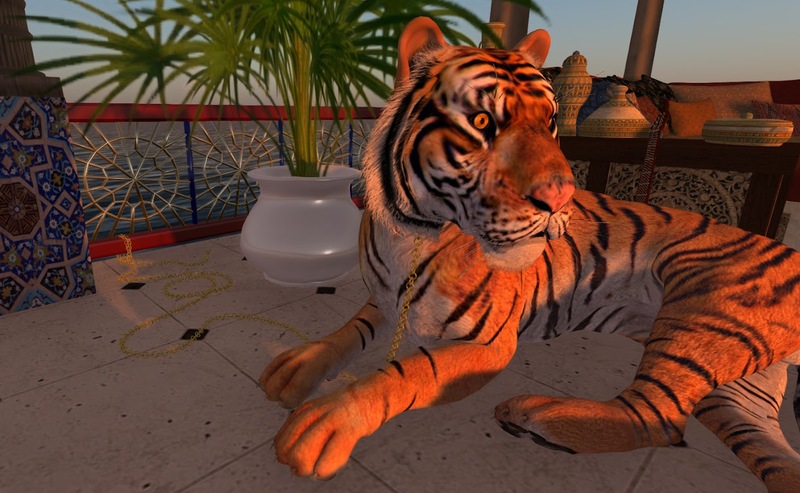 Using a very high quality link can look gorgeous until you have several hundred of them in a row and your graphics card catches fire (not to mention it will take ages for the sim to send the mesh data to the viewer).